I recently purchased an ES-3 and ES-5 and have been running into some issues with the MIDI aspects of these devices. 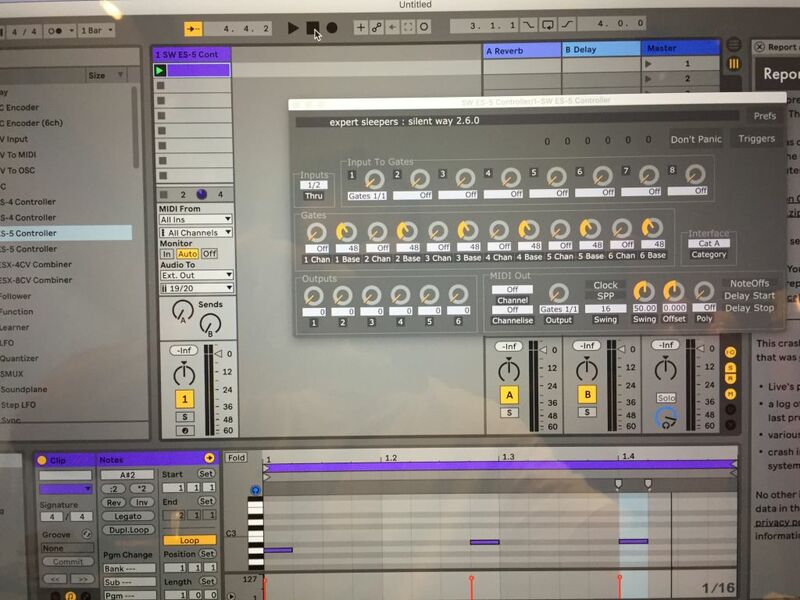 I have had success with the ES-5 controller running MIDI in Ableton at both 44.1K and 48K although the MIDI clock output starts a bar late. I have however not had any success with the ES-5's MIDI capabilities within Numerology in stand alone mode which I prefer. The voice controller functions as expected but no luck with the ES-5 controller. I've been methodical in checking and testing my connections, routing, sample rate, etc. Any suggestions? This is Live being weird with Audio Units. Try the VST. Which version of Numerology? Jim did make some fixes for ES-4/5 compatibility at one point. It starts right on time! Outstanding! Rock solid sync! 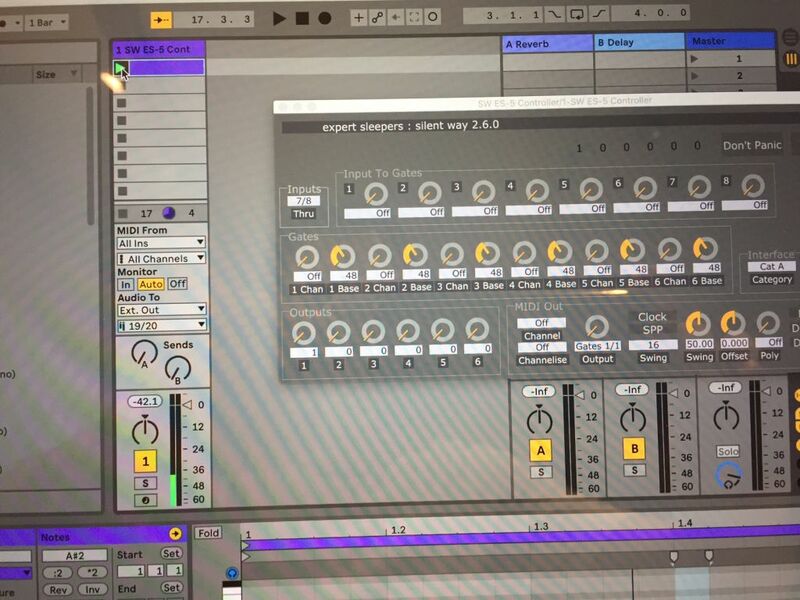 I tested this with an mfb522 which I've read can be bitchy about midi clock. I was running Pro 3.2 (Build 61). I upgraded to Build 67 and still no joy. I am really happy about the sync though! Is it MIDI clock you're trying to send from the ES-5 Controller in Numerology, or actual MIDI notes etc.? I've been attempting to output both note and clock data. It turns out that I needed to insert the "Mono Extraction" utility (a utility in Numerology) between the ES-5 controller and the output of its respective rack. Now both note and clock data are being passed at both 44.1K and 48K. As a note, I'm running a Motu 828 mkII. A strange thing worth mention is that in my first test project the "Right Minus Left" state in the utility worked whereas in a different test project "Left Plus Right" was needed. There may have been nuances that I missed but the differences weren't apparent. Thank you again for the help os! ext out 19 and 20 are 7/8 from the ES-3 I guess. also, es-5 is just for gates? how can i pitch that gates? You want the 'Gates' section, not the 'Input To Gates'. Set "1 Chan" to '1'. Os, Ive set the "1 chan" to 1, but the only thing i see is the led 1 lighted fixed. The midi gate is not transmitting. 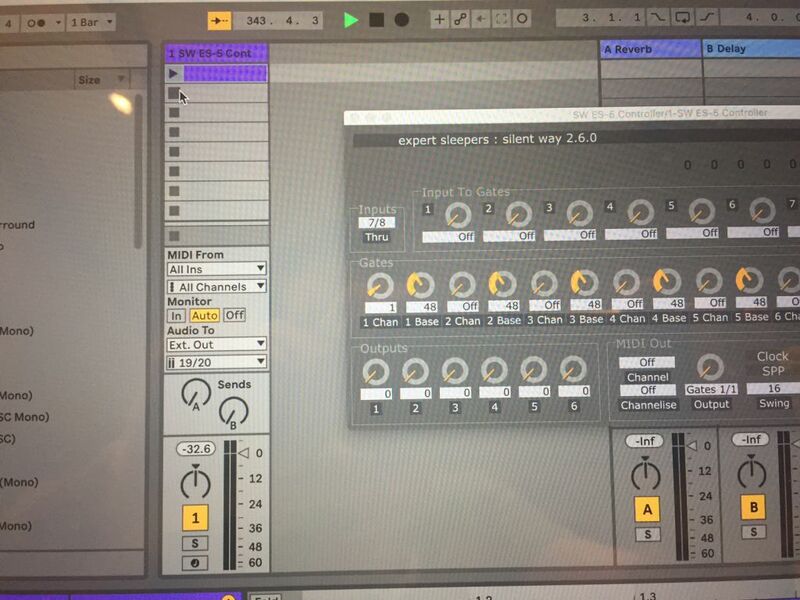 1) Do I have to insert another channel in ableton live to transmit the midi? As you can see there's only 1 channel with the ES-5 controller. 2) Is the ES-5 only for gates? hw do you transmit pitch over there? 2) What is the difference between the 2 ES-5 controllers plugins? I would appreciate if you can help. I bet this is a bit dumb for you, but its really difficult to get this thing working for a non-expert. You've set the Outputs knob to 1. You need to set the '1 Chan' knob in the Gates section to 1.
now ive set the "1 chan" to 1 but nothing happens. when i set the output 1 to 1, at least i have a fixed led. what could be doing wrong? I imagine you're sending the wrong MIDI notes. Only notes 48-55 will produce an output. thank you. I could make it work. The question is if i can only send a gate per channel, assume that note 48 goes to channel 1 and note 49 goes to channel 2. How can i send pitch with the ES-5?